A short novel from the No. 1 bestselling author of CLOSE TO THE BONE and A SONG FOR THE DYING, featuring his most popular characters, Acting DI Logan McRae and DCI Roberta Steel.. 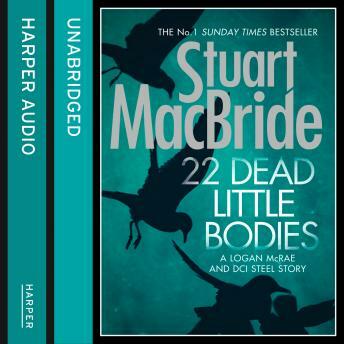 It's a been a bad week for acting Detective Inspector Logan McRae. Every time his unit turns up anything interesting, DCI Steel's Major Investigation Team waltzes in and takes over, leaving CID with all the dull and horrible jobs. Like dealing with Mrs Black - who hates her neighbour, the police, and everyone else. Or identifying the homeless man who drank himself to death behind some bins. Or tracking down the wife and kids of someone who's just committed suicide.